Generic Neurontin (Gabapentin Capsules) which belongs to a group of medicines called anticonvulsants, is used to control epilepsy, in adults and children age 3 years and above who have not achieved adequate control with standard anti-epileptic drugs. Generic Neurontin is also used to treat neuropathic pain, a type of long lasting pain caused by damage to the nerves. 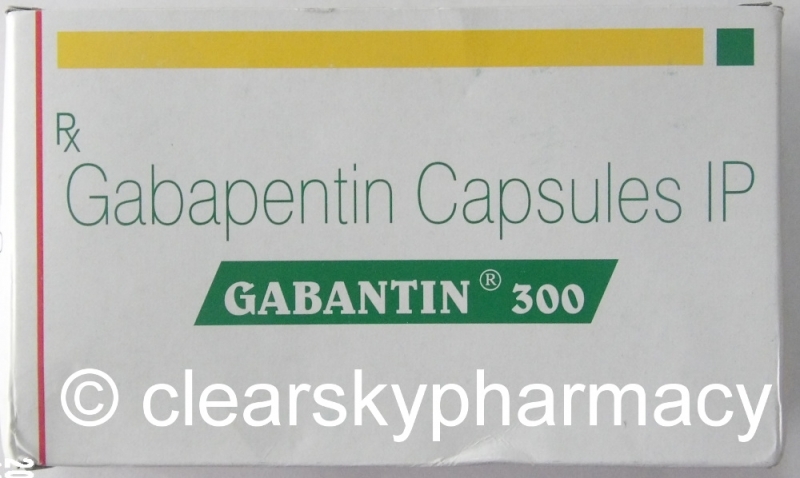 Gabantin capsules, the generic equivalent of Neurontin, are manufactured by Sun Pharmaceutical Industries Ltd. in the strengths of 100 mg, 300 mg and 400 mg of Gabapentin. 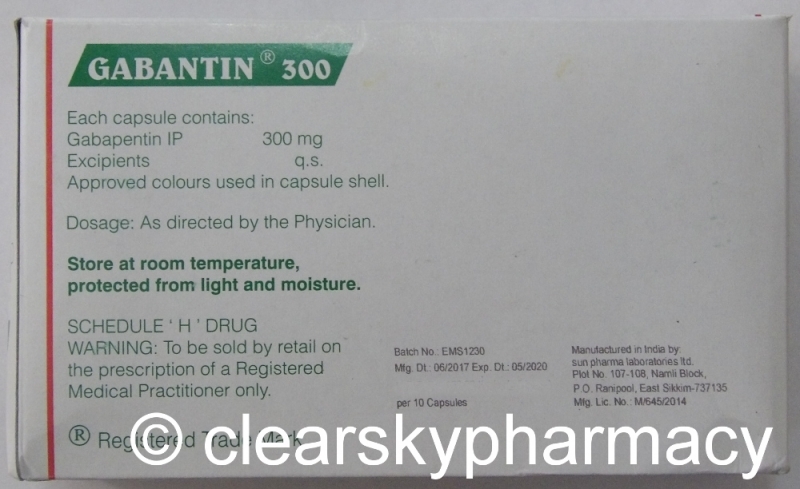 We supply original Gabantin capsules manufactured by Sun Pharmaceutical Industries Ltd. . The active ingredient present in Gabantin Capsules is Gabapentin. Each Gabantin capsule contains 100 mg, 300 mg or 400 mg of Gabapentin. 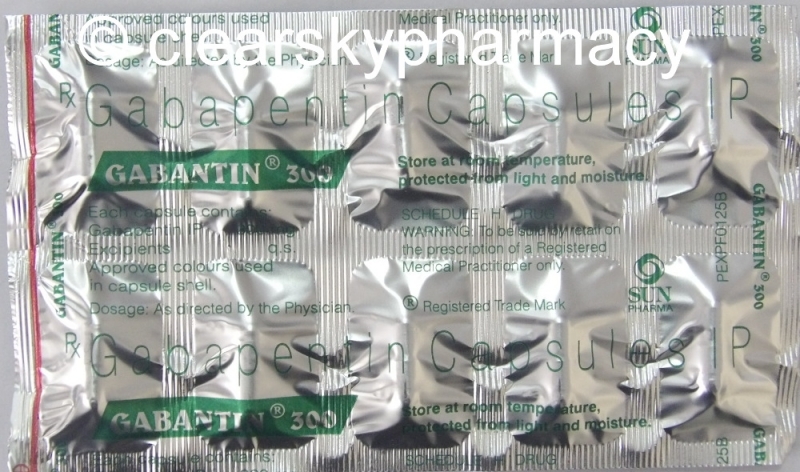 Gabantin by Sun Pharma is used to treat seizures, hot flashes, epilepsy, and neuropathic pain. Gabapentin Capsules (Gabantin) is used primarily as an adjunctive therapy in the treatment of partial onset seizures, with and without secondarily generalised tonic-clonic seizures, in adults and pediatric patients 3 years and older. Your doctor will prescribe Gabantin Capsules (Generic Gabapentin 100 mg, 300 mg or 400 mg) for you to help treat your epilepsy when your current treatment is not able to fully control your condition. You should take Gabantin capsules in addition to your current treatment unless directed otherwise. This medicine is also used for the management of postherpetic neuralgia in adults. Gabantin Capsules are also commonly prescribed for several off-label uses, such as treatment of anxiety disorders, insomnia, and bipolar disorder. 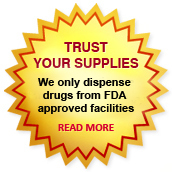 We supply Gabantin by Sun Pharma which is also known as Generic Gabapentin. In adults with postherpetic neuralgia, Gabapentin capsules may be started on Day 1 as a single 300 mg dose, on Day 2 as 600 mg/day (300 mg two times a day), and on Day 3 as 900 mg/day (300 mg three times a day). The dose can later be titrated up as per the requirement of the patient for pain relief to a dose of 1800 mg/day (600 mg three times a day). The starting dose of Gabantin Capsules is 300 mg three times a day. The recommended maintenance dose of Generic Neurontin is 300 mg to 600 mg three times a day. Dosages up to 2400 mg/day have been well tolerated in long-term clinical studies. Doses of 3600 mg/day have also been administered to a small number of patients for a relatively short duration, and have been well tolerated. Administer Gabapentin capsules three times a day using 300 mg or 400 mg capsules, or 600 mg or 800 mg tablets. The maximum time between doses should not be more than 12 hours. The starting dose range of Gabantin capsules is 10 mg/kg/day to 15 mg/kg/day, given in three divided doses, and the recommended maintenance dose is reached by upward titration over a period of approximately 3 days. The recommended maintenance dose of Gabapentin capsules (Gabantin) in patients 3 to 4 years of age is 40 mg/kg/day, given in three divided doses. The recommended maintenance dose of Generic Neurontin in patients 5 to 11 years of age is 25 mg/kg/day to 35 mg/kg/day, given in three divided doses. Dosages of Gabapentin capsules up to 50 mg/kg/day have been well tolerated in a long-term clinical study. The maximum time interval between doses should not be more than 12 hours. Gabantin Capsules are contraindicated in patients who have demonstrated hypersensitivity to Gabapentin or to any of the inactive ingredients in the Gabantin capsules. Abrupt withdrawal of anticonvulsants in epileptic patients can precipitate status epilepticus. When in the judgement of the doctor there is a requirement for dose reduction, discontinuation, or substitution of alternative anticonvulsant medication, this should be done gradually over a minimum of one week. Patients who require concomitant treatment with opioids can experience increases in Gabapentin concentrations. Patients should be carefully observed for signs of central nervous system (CNS) depression, such as somnolence, sedation and respiratory depression and the dose of Gabapentin Capsules or opioid should be reduced appropriately. Generic Neurontin (Gabantin capsules) is generally not considered effective in the treatment of absence seizures and mayexacerbate these seizures in some patients. Consequently, Gabapentin capsules should be used with caution in patients who have mixed seizure disorders that include absence seizures. Severe, life-threatening, systemic hypersensitivity reactions such as drug rash with eosinophilia and systemic symptoms (DRESS) have been reported in some patients taking antiepilepetic drugs including Gabapentin Capsules. Cases of abuse and dependence have been reported in patients being treated with Gabapentin capsules from the post-marketing experience. Talk to your doctor in case you have a history of abuse or dependence. Antiepileptic drugs (AED) such as Gabantin (Gabapentin Capsules) increase the risk of suicidal thoughts or behaviour in a small number of patients taking these medications for any indication. If at any time of your treatment you have these thoughts of harming yourself, please contact your doctor immediately. Generic Neurontin (Gabapentin Capsules) may impair your ability to drive a car or operate potentially dangerous machinery. Until the time that it is known that this medicine does not affect your ability to engage in these activities, do not drive a car or operate potentially hazardous machinery. Gabapentin has been classified by the US FDA as Pregnancy Category C.
In nonclinical studies conducted in mice, rats, and rabbits, Gabapentin was developmentally toxic when administered to pregnant animals at doses similar to or lower than those used clinically. There are no adequate and well-controlled studies conducted in pregnant women. Gabapentin should be used during pregnancy only if the potential benefit justifies the potential risk to the fetus. Stop using this medication and inform your doctor immediately in case you become pregnant during treatment. Therefore you must inform your physician if you are pregnant, or if you are planning to become pregnant, or if you become pregnant while you are taking Gabapentin capsules. It has been proved that Gabapentin is secreted into human milk following oral administration. A nursed infant could be exposed to a maximum dose of approximately 1 mg/kg/day of Gabapentin. Since the effect on the nursing infant is unknown, Gabapentin capsules should be used in women who are nursing only if the benefits clearly outweigh the risks. Do not use this medicine without telling your doctor if you are breast-feeding a baby. You should inform your doctor if you are breast-feeding an infant. You can buy Generic Neurontin online from Clear Sky Pharmacy at a cheap price. Gabantin 100 mg, 300 mg and 400 mg pills, manufactured by Sun Pharmaceutical Industries Ltd., India are supplied in a blister strip of 10 capsules. The cost of Gabapentin generic (Gabantin 100 mg capsules) is only $0.33 per unit when you place an order for 360 capsules.